Blue-and-Gold Macaw Personality, Food & Care – Pet Birds by Lafeber Co. The blue-and-gold macaw is aptly named, with a gorgeous blue body and dark lemon-yellow chest, this is a bird that’s hard to miss. It also referred to as the blue-and-yellow macaw. The blue-and-gold macaw is prized for its beautiful plumage — in pre-Columbian society they made large tapestries of the blue and yellow feathers. The blue-and-gold macaw is aptly named, with a gorgeous blue body and dark lemon-yellow chest, this is a bird that’s hard to miss. It also referred to as the blue-and-yellow macaw. This macaw has a green strip of feathers just above its black beak, and a partially naked face that will blush pink when it is excited. Its feet are dark gray or black, and it has a black “beard” of feathers just below its beak. Blue-and-gold macaws are native to South and Central America, where they inhabit forests and woodlands. Their range includes Venezuela south to Peru, Brazil, Bolivia and Paraguay, as well as parts of Panama. In the wild, most macaws, including blue-and-gold macaws, eat a variety of seeds, plant material, fruits, and nuts. The wild macaw’s diet tends to be high in fat, which is acceptable for a bird that spends its day flying through the rainforest, finding food, nesting, and rearing chicks. Companion macaws are lucky to have a much easier life than their wild counterparts, but they miss out on the ability to forage for their food, a behavior that comes naturally. Macaws, including blue-and-gold macaws, thrive on a nutritionally balanced diet, such as Lafeber’s Nutri-Berries and Lafeber’s Premium Daily Diet Pellets, as well as fresh fruits and veggies and healthy table foods. If a blue-and-gold macaw remains healthy, it can live upwards of 70 years. This is a bird that will be with you for a lifetime, and you should prepare for this possibility, which may even include a trust or a clause in your Will dedicated to the bird. Macaws are a force to be reckoned with. Everything about them is big, from their voices to their attitudes. Even the mini macaws are big … on the inside! Colorful and often raucous, they call attention to themselves even when quiet. Although, to the uninitiated, macaws seem formidable and may bluster and carry on, those who share their lives with these magnificent friends know that they contain surprisingly soft and loving hearts and sensitive natures. Macaw people adore their great friends to the very core of their being … and for good reason. It only takes one gentle kiss from their giant beaks to open the stoniest of hearts. Like most macaws, the blue-and-gold macaw is capable of making loud, ear-piercing sounds and can be prone to bouts of screaming. 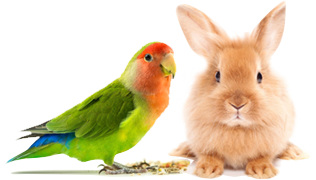 You will not be able to hide this pet from a landlord, so understand the vocal abilities of this bird before you bring it home. There really is no way to make a screaming macaw cease and desist its vocalizations, especially around dusk, when parrots are most vocal. Blue-and-gold macaws are apt talkers, able to repeat simple words and phrases. Like other parrots, blue & golds are prone to self-mutilation/feather plucking, and nutritional disorders, and a variety of diseases, including Macaw Wasting Syndrome, as well as overgrown beaks. A nutritionally balanced diet and regular veterinary health exams can help keep your blue-and-gold macaw healthy and thriving. Like most macaw species, blue-and-gold macaws are typically available at avian-only retail stores, direct from a bird breeder or through a bird rescue/adoption organization. If you adopt a pet blue & gold from a bird rescue/adoption organization or from an individual, ask for the bird’s complete history, including the reason why the bird is being given up for adoption, as well as its behavioral quirks.